Also known as: (奥田 誠二) Okuda Seiji was born on April 18, 1943 in Tokyo, Japan. He is a veteran animator and director. 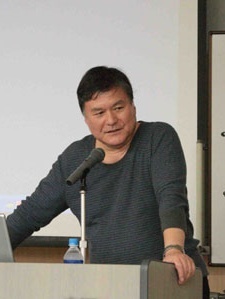 He established the company, later turned into a private office, Project Team Eikyuukikan, a collaboration of several animators, which was disbanded by him in October 2009. He continues to work freelance, mostly as storyboarder. Okuda is a member of the JAniCA. He was one of the animators on the original Gigantor series, subsequently finding work at TCJ, Tatsunoko, and Art Fresh, before going freelance. His directorial debut came with Psycho Armor Gobarian. Note: Not to be confused with the movie producer Okuda Seiji, with whom he shares the name with.